He may have just won his first NA LCS title, but Olleh has bigger fish to fry. Team Liquid support Kim “Olleh” Joo-sung jumped up to hug his teammates. 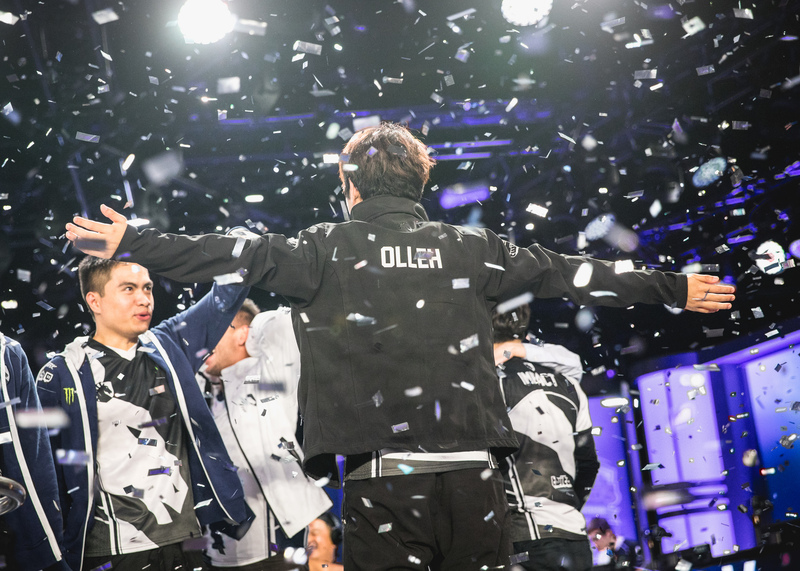 They had just won the NA LCS Spring Split title, and were now taking turns hoisting the trophy. 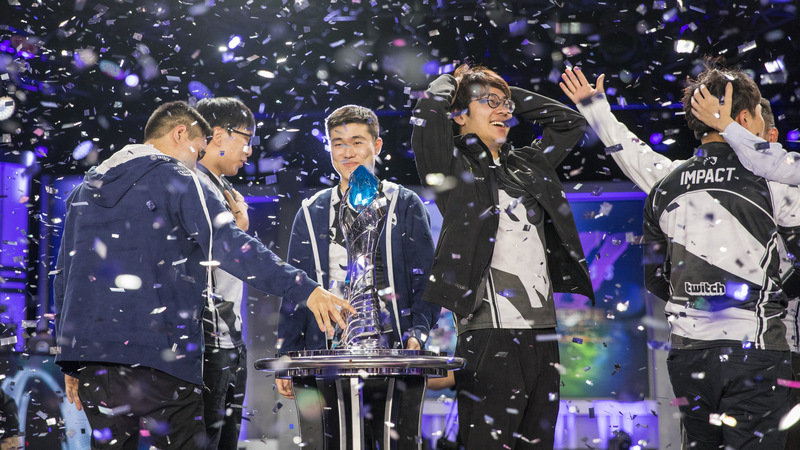 This was Olleh’s first title, and he was wiping tears away from his eyes. Just minutes later, Olleh was telling the assembled press that despite this success, the excitement didn’t last. How could he celebrate with the Mid-Season Invitational right around the corner? When Dot Esports asked him why he’s so hard on himself, he laughed. 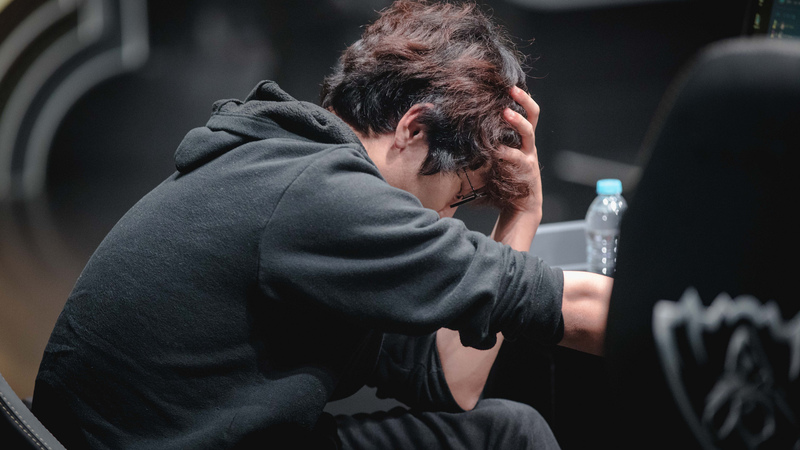 The catalyst that forced Olleh to change his self-perception was the disastrous 2017 League of Legends World Championship, where he and the rest of Immortals fell dramatically short of making it through the Group Stage. Last autumn, Olleh had just finished the season of his life. He was in contention for the NA LCS split MVP award as a support player, which, at the time, was a big deal. No support had ever before been crowned a split MVP. He and his bot lane partner Cody Sun had played so well during the regular season that their team was even favored to beat reigning champions TSM in the split finals, depending on which analyst you asked. They were an integral part of Immortals’ success, and when they ultimately lost to TSM in the four-game series for the title, Olleh believed he was the problem. That sentiment crystallized when Immortals failed to advance past the group stage at Worlds a few weeks later. 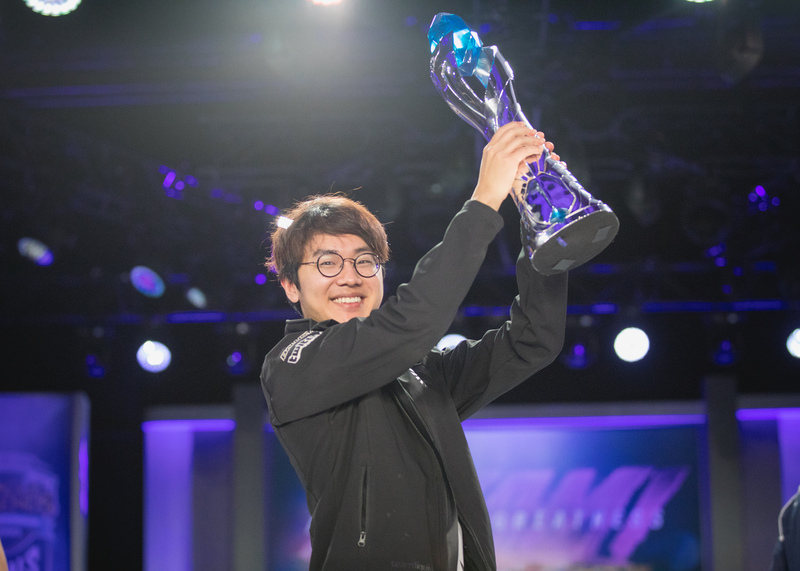 To him, success had made him cocky, and it poisoned his potential to earn victory for North America on the international stage. I loved to enjoy the feeling after a win, but now I don’t feel anything. Now that he’s here at the end of a split with a title in his hand and numerous talent-packed moments to look back on against 100 Thieves, he’s treading carefully. To Olleh, he may have just finally won himself a split title as part of the fourth team to ever do so in the NA LCS, but he wants to deflect any self-importance that may come with it. Winning the title simply guaranteed him a spot at the next tournament, and that tournament is the real prize. He doesn’t necessarily think that it’s the region’s fault, or that it’s normal for a split champion to not feel excited. He thinks he’s just a little odd in that regard. It would be a massive understatement to say that there’s a lot of pressure on Olleh and the rest of Liquid. Although North America has qualified for the quarterfinals at Worlds the last several years with only one exception, the region as a whole hasn’t made it past that point since 2011, when TSM placed third in season one. There were only eight teams at that tournament, and a third-place finish only earned $10,000. NA’s reputation at MSI is just as bad. The only success North America has ever found in that tournament’s history was CLG’s miracle, runner-up finish in 2016. Needless to say, there’s a lot riding on Liquid’s shoulders. They need to make it out of the Group Stage at the very least, or they’ll have to face disappointing North America’s sometimes brutal fans. The key to overcoming that hurdle, Olleh jokingly said, is being Korean. He also thinks this Liquid squad can outperform the disappointing NA LCS teams of the past. When Olleh first joined Liquid, however, he needed a lot more than just hard work to push through some of his most significant issues. He was struggling to communicate with Doublelift, and their lack of synergy on-stage showed the most during weeks four through seven of the regular season. At times, they looked too passive. Other times, Olleh would attempt to force an engage only to die while Doublelift safely farmed far away. They simply weren’t on the same page. Although it often escalated to arguments, Olleh felt the origin of the problems was a common issue: language. He played for an entire year in the NA LCS on Immortals before joining Liquid, and he never really had any issues with his former ADC partner Cody Sun. He’d later learn, however, that this was because Cody was using basic English. Cody assumed that Olleh’s English wasn’t quite up-to-snuff, meaning Olleh didn’t realize just how much he still needed to improve. He was in for a rude awakening when he paired up with Doublelift, and that issue caused the situation to spiral out of control for a couple of weeks. This disparagement in speech caused the duo to run into roadblocks. 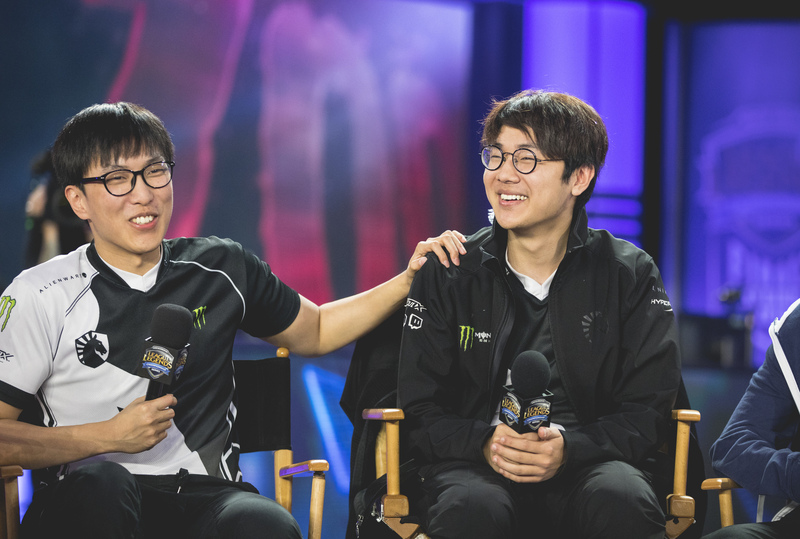 For example, Olleh didn’t catch or understand a word, and then, according to Olleh, Doublelift would sometimes think he was being ignored, which led to more personal issues and arguments. It took several weeks of drilling down on his English skills to get over this and get back on track as a team. One of his favorite tools for English practice was American sitcom Gossip Girl, which he is a very big fan of now. Thankfully for Olleh, he’s confident that those issues are all in the past. He told us that he was very pleased with his communication with Doublelift at the end of the split, especially in the final 3-0 shutout of 100 Thieves on Sunday to claim the trophy. Now it’s time to focus on improving team strategies. Aside from practicing with a few new champions to enter the bot lane meta, though, he thinks he and Doublelift are on the right track. More specifically, he wants to practice supporting for Jinx and Sivir, which he thinks will gain popularity after their dominance in the EU LCS at the end of that region’s split last weekend. How would he prepare to redeem North America at MSI, though? Olleh was confident. The 2018 Mid-Season Invitational begins April 24, where Olleh and co. will try to make North America proud.